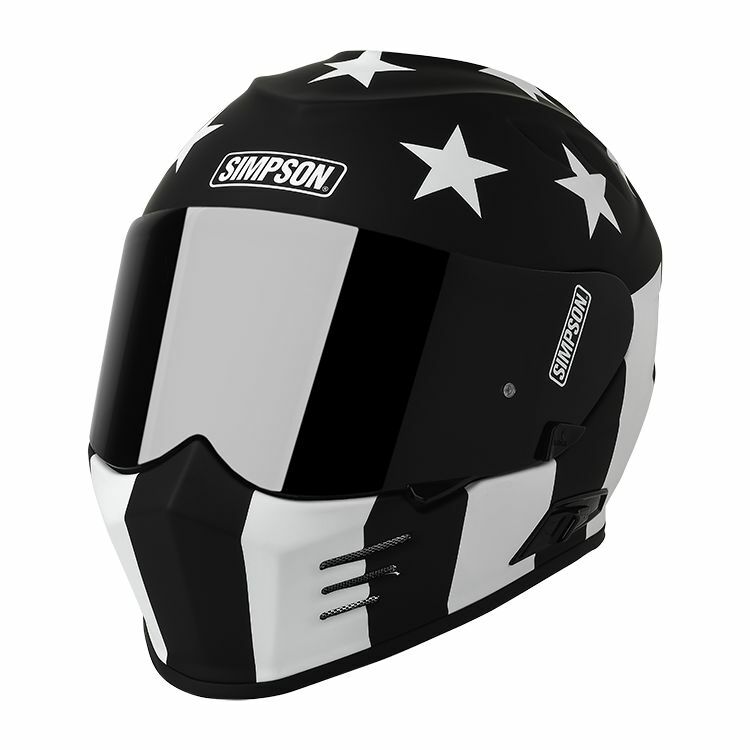 The Simpson Ghost Bandit Monochrome Helmet (MD) has been discontinued and will not be returning. The Simpson Ghost Bandit Helmet turns heads with looks that you can't find elsewhere. It blends the classic Bandit street style with premium features that modern riders have come to expect. The Ghost Bandit is made for just about any type of riding while providing exceptional style and comfort. The shell has been aerodynamically designed for riding and is fully ventilated for maximum airflow where you need it most. Integrated speaker and microphone pockets make it easy to install your favorite communication device and the built in drop-down sun visor is all you need to battle changing light conditions. Note: The Ghost Bandit runs slightly small. If you are between sizes, order the larger size.